This is the Bible passage that Jesus read in the temple that affirmed His calling at the start of His public ministry in Luke 4:14-21. When you read the whole Isaiah 61 chapter in the context of Luke 4, we can read that it was actually God the Father who sent His own Son into the world to proclaim the good news of the kingdom. The message of the kingdom is simply this... Good news for the poor. Healing for the brokenhearted. Freedom for the captives. Wide open spaces to those imprisoned. Comfort for the grieving. And so much more. This is why Jesus came two thousand years ago and it is the same reason why the Holy Spirit is with us today. If you are hurting, just open up your heart to the Holy Spirit and let the love of God bind up your broken heart. 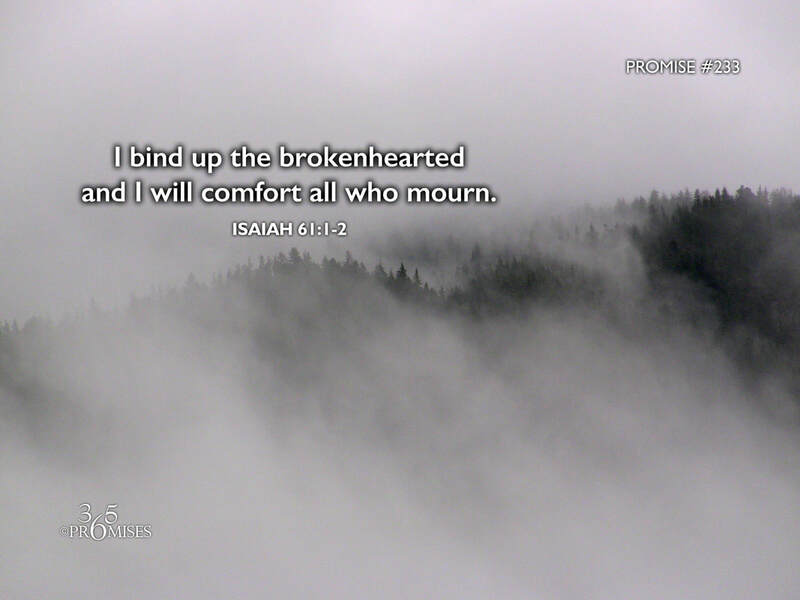 If you are grieving, let the Father of compassion and the God of all comfort bring His everlasting comfort in your time of mourning. If you are imprisoned, let the Lion of Judah set you free from all that keeps you in chains so that you can truly live a free life.